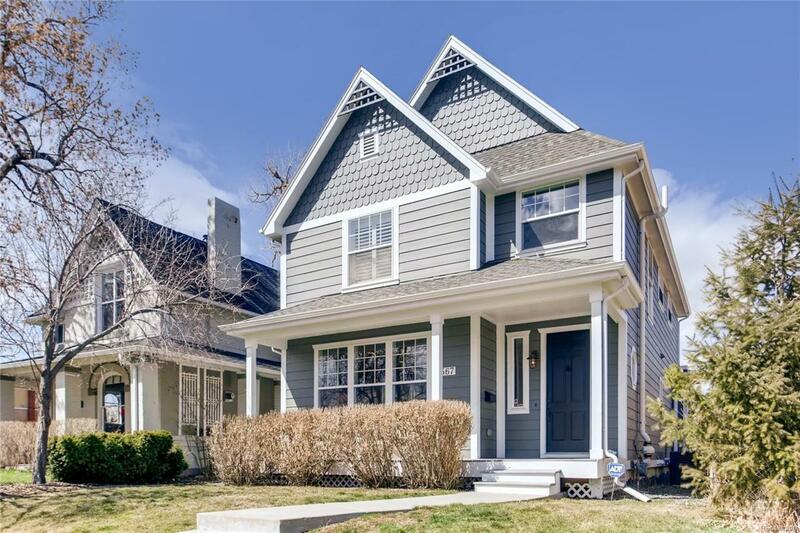 Immaculate home in the premier Cottage Hill Neighborhood of West Highland! Thoughtfully constructed in 2005, this house features timeless architecture and quality design elements. Yes, this is a duplex but it is only attached to the neighbor by a 10ft dining room wall...the property lives completely like a detached house. The main floor is impressive! Elegant, light-filled living room leads to a gourmet kitchen with huge island, lighted cabinets, pantry, granite counters and is open to dining room, family room and flows nicely outdoors to the relaxing deck. Upstairs you'll find a sunny loft area, 3 bedrooms including a glam-deluxe master suite, separate hall bath and laundry. The basement is a retreat: 4th bedroom, another updated bathroom, amazing tv room, rec room that houses a pool table...so nice! A 2 car garage completes this perfect picture, not that you'll need a car in this location! Mid-point between Highland Square, Tennyson St. & Sloans Lake...this location rocks!